Perhaps your parents raised you in the home they are now ambling about. As you see them begin to slow, or have to jump on a plane every time they wish to see you, thoughts of helping them to have an easier time come across your mind. After all they deserve at this time of their life to relax, do what they wish to do, and be able to manage their health and their finances with comfort. Considering a reverse mortgage is one good option. It gives more wiggle room to work with when balancing the growing needs of health, home, and retirement. As you discuss the future and it’s possibilities, there are a few questions to ask yourself and everyone else involved. First, do you or other siblings have concerns about inheritance and/or equity? Your parents probably care that all of you feel you have received from them as they pass. While this discussion is not always easy, it is undeniably beneficial. Talking will give clarity, which in turn provides direction. It also gives everyone a chance to be heard. Second, do you have financial resources to help your parents? Health needs as we age are difficult to determine but it is important to build in a buffer for the unexpected. The stress of aging is enough in and of itself, being able to take care of the costs should not have to be an additional worry for those that raised you. Another good question that only your parents can answer is, ‘What are my parent’s wishes about staying in their home, especially if their medical needs grow?’ For some they are ready to let go of the home of their youth and family, wanting to change and simplify their lifestyle. For some being closer to you is the most important desire. And for some staying in their home as long as possible is the most important wish that could be fulfilled. Since the decision about reverse mortgage as a way to fulfill desires is a big one, looking toward the future and developing a plan will only benefit everyone – and ultimately make your parents’ happy. How Prepared Are You If Your Spouse Dies? Regardless of age, losing a spouse is difficult – and the impending “business” that comes along with it doesn’t make it any easier. This is why we should all ask ourselves at some point, “Am I prepared if my spouse dies?”. There are so many various aspects to being “prepared”, and although I can’t help with many of them, I can help with some simple suggestions to making sure you aren’t stuck with unexpected questions. It’s not uncommon in marriages or partnered relationships for each spouse to take care of different bookkeeping tasks. For example, it’s very common for the husband to manage retirements funds – pensions, IRA’s, etc. While the wife may handle personal address books or paying bills. Take a minute and think about this? Not only what you may not know, but what your spouse may not know. • Begin by making a list over a week or two, and ideally an entire month. Make note of what “business” you do. How many passwords did you need online? How many account numbers on the phone? What about PINs? The results may surprise you. In today’s high tech yet overly scammed world, everything is secured under lock and key. • Although it is best if both spouses can contribute to this exercise it is not a requirement. Either way, spend some time brainstorming together. We often will remember things when discussing them with someone else. • It’s important to make a physical list of this information, whether typed or handwritten. What you shouldn’t do though is save this information online. Hackers will seek data that includes account numbers, logins, and passwords and this could lead to compromising your accounts and even identity theft. Even if you think it’s secure, there really is little guarantee that is true. Keeping this list with your most important documents – such as birth certificates, titles to homes and vehicles, etc – is going to be your safest bet, but make sure both spouses know where to find it. Name and phone number of company, account numbers and any PINs associated. If using online management of account, include website URLs of where to login, login name and password, and any auto pay information. If there are specific people you work with at these companies, include their names. If only one spouse is listed on the account, make an effort to add the other one. I recently witnessed an elderly woman at the DMV who was unable to renew her driver’s license because all the mail that came to the home was in her husband’s name. This is more common than many people realize – and often they don’t even know until they’re caught in jam. These lists will vary from person to person, so make sure to add your own ideas. Also be sure to update it when anything changes or is added – because hopefully you won’t need it for quite a few more years! In today’s technology driven society, protecting your identity is more important than ever. But don’t assume identity theft only happens online. It can happen anywhere, anytime. Someone could be watching over your shoulder as you fill out a form at your doctor’s office. Another individual could be rummaging through your trash, hoping to find a tossed out credit card offer. Your email program’s spam filter may not be blocking those emails from Phishing websites. There are many ways to fall victim to identity theft, arming yourself with facts and prevention is key to protection. Be aware of your surroundings. When filling out forms that include private information, take a seat away from others when possible. Never throw out forms or paperwork that may have your personal information on them, always take these home with you and dispose of them properly. Don’t toss out credit card offers or other junk mail that pertains to obtaining credit. In addition, any other private information you have – bills, car registration, insurance documents, bank statements – should always be disposed of properly and NEVER put out with your household trash. These items should be shredded or burned. In addition, limiting the amount of junk mail you receive by “opting out” of mail distribution lists can vastly decrease your risk. Opt out by calling 1-888-5-OPTOUT. 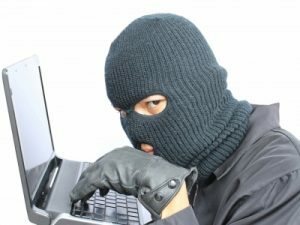 Never follow links to bank accounts, credit accounts, PayPal accounts, etc from an email. “Phishing” emails may appear as a completely legitimate email from your bank or credit card company, warning you of unauthorized transactions or other alarming information. These emails will include links that take you to a website that looks identical to your bank’s – but it’s not. Once you enter your information into this “Phishing” site, you have given some of your most valuable financial information to a con-artist. ALWAYS access your bank and credit accounts by entering their web address into your web browser, NEVER through a link. Reputable companies will not contact you via email about such important matters. Don’t respond to emails offering money in exchange for “helping” an individual transfer money into the country. These are always scams and have proven to be very dangerous. Password protect your computer and your wireless internet. Use firewalls and virus protection software. Never give personal information to telephone solicitors or door to door solicitors. Do not give out personal information over the phone unless you placed the call yourself. Lock your car. Identity theft via “glove compartment” information is on the rise. Keeping your car locked can ensure you are not an easy target. Don’t carry your Social Security card in your wallet or purse. Purge expired credit cards, insurance cards, and ID’s regularly. Keep these items at home in a safe place. If you do not have a locking mailbox, do not mail payments using your mailbox. Always take the mail directly to the post office. What do I do if think I’ve been targeted? In our society, the elderly and nursing homes go hand in hand. 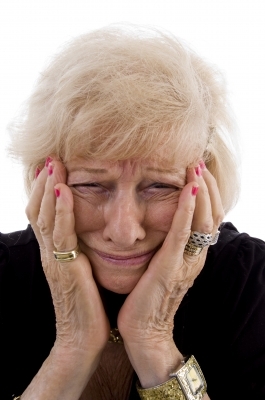 But when speaking with elderly people, one of their biggest fears is being placed into a nursing home. Who can blame them? According to National Center on Elder abuse, one study interviewing 2,000 nursing home residents reported that 44% said they had been abused and 95% said they had been neglected or seen another resident neglected. When considering the psyche of an older senior, nursing homes or convalescent homes mean “end of life”. Often times adult children don’t know a better solution as the needs of the parents increase, the home is no longer suited for their parent, and/or they do not have the funds or the time for in home care. 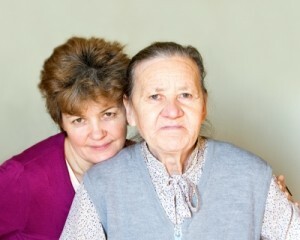 Reverse mortgages have been helping seniors in need for years. But now as retirement planners are realizing the benefit the can offer long term, they are now being used more proactively. Reverse mortgage is a great method to finance in-home care to avoid nursing homes, pay for medical care, and even fund home modifications. For seniors who are looking to situate long term and prepare to live their golden years in their own home, a move to a new residence closer to family or more suited for senior life may be in order. The reverse mortgage for purchase is perfect option for these situations. Reverse mortgage for purchase allows the purchase of a different residence using a reverse mortgage while still employing the perks of a traditional reverse mortgage – living mortgage payment free. In addition, reverse mortgages do not affect social security, pensions, or medicare. Both reverse mortgage for purchase and traditional reverse mortgage are available to seniors 62 and over. The home must be the primary residence and it must be a HUD approved property type.